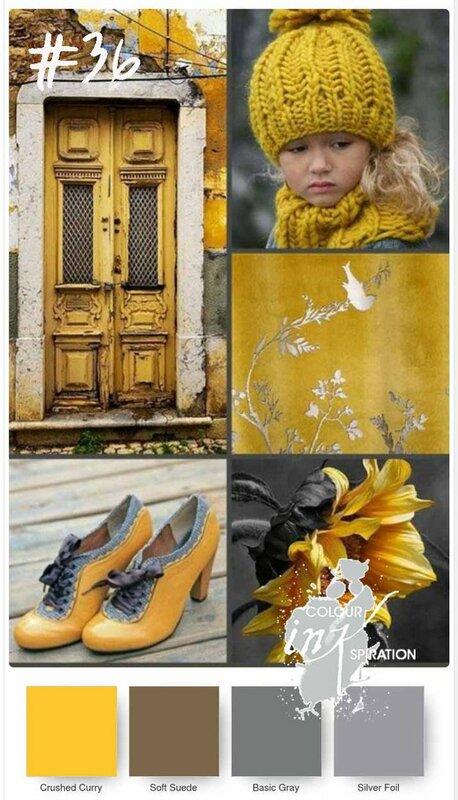 I took inspiration rom the gorgeous flower in the bottom right photo. 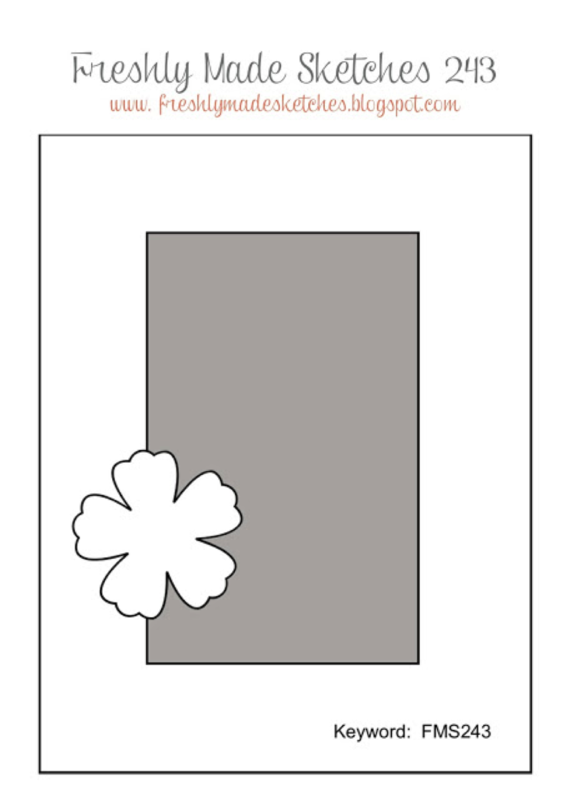 I thought it looked very similar to the flower I’ve used from Remarkable You. I’ve given it a light watercolour with Crushed Curry Ink and then added some Soft Suede Ink to the bottom of the petals to add some shadows. My leaves are also from this set and I have given the lightest of watercolour with Basic Gray Ink – there was really much more water than colour. The sentiment I’ve used is stamped in Basic Gray I’ve been wanting to use this sentiment from Abstract Impressions on a card and so I really designed this card around using this sentiment. I’m the last person on the hop, but if you’ve started with me, then you can hop to the start by clicking here or by clicking the next button below. This will take you to the gorgeous creation Kim Oliver has created. Otherwise if you’d like to link up a card to our facebook page, then you can click here. 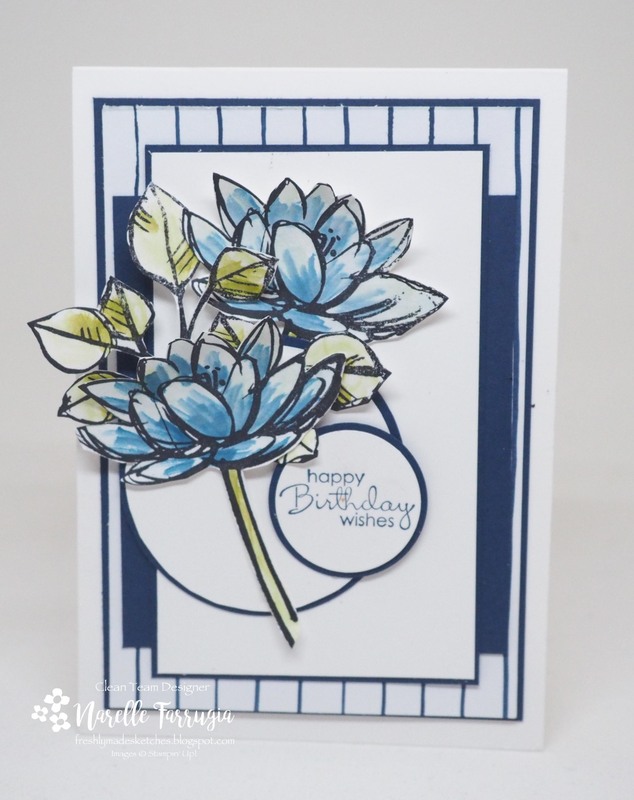 The card I’m sharing tonight is for the latest sketch challenge at Freshly Made Sketches. Our sketch has been designed by Jen Mitchell. 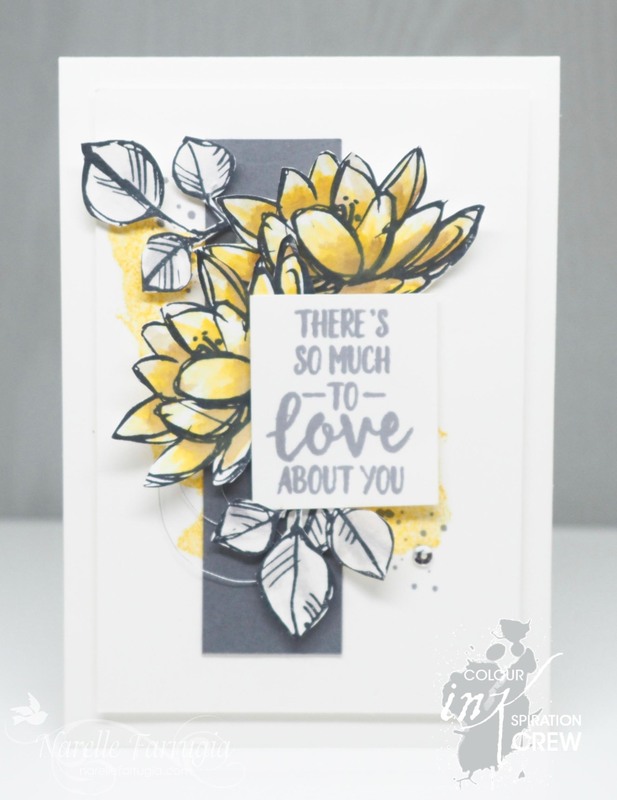 I am in love with Jen’s gorgeously clean lines and perfect choice of stamps and colours. This card came together so easy! I totally love it when that happens. I hadn’t opened up my pack of Foil Frenzy Specialty Designer Series Paper yet (gasp!) and thought it would work well with Jen’s sketch. 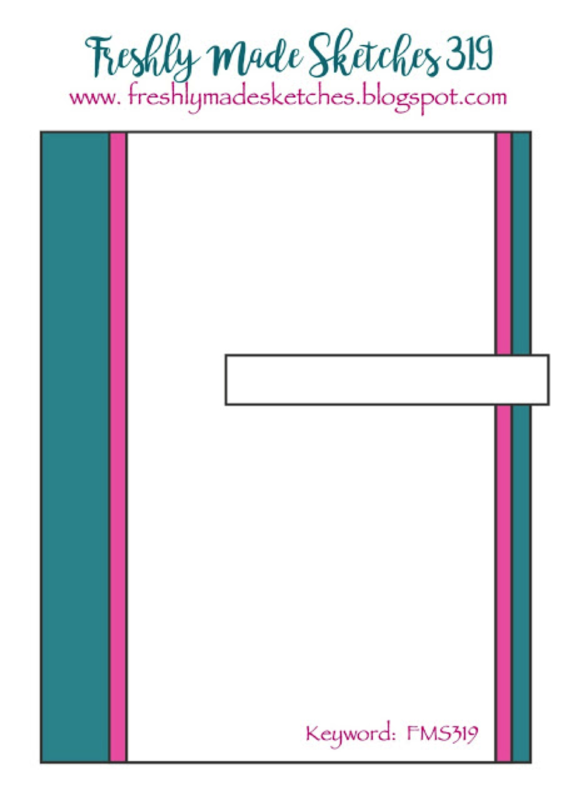 I chose the chevron DSP from the pack and the back of another sheet to layer behind it. I really love the kraft colour in these papers. The stamp set I chose to use was one that I haven’t used in a while – the set is called Remarkable You. These flowers have stems on them, but I chose to cut them off for my card as I couldn’t quite place the flowers like I wanted and work the stems in. The leaves are also from this set. As always, I have fussy cut them, because I like layers and also enjoy the fussy cutting time. My flower is lightly watercoloured with Peekaboo Peach Ink and my leaves are coloured with Old Olive Ink. The sentiment I have used is from Four You. Yes, it’s one of my favourites as I like the font and the size of the sentiment. 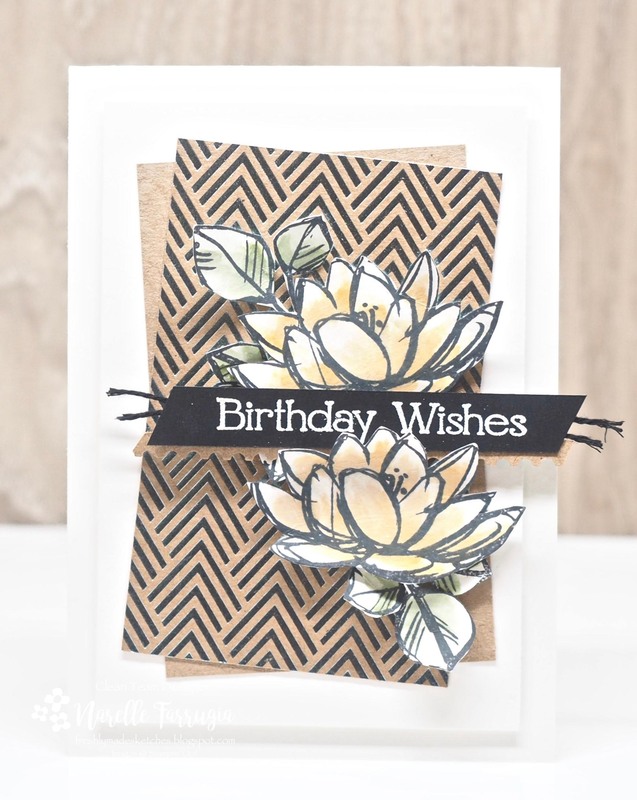 I’ve heat embossed the sentiment with White Embossing Powder on to Basic Black Cardstock. Under my sentiment I have used some Black Bakers Twine and an off cut strip of the kraft cardstock punched with my Ticket Tear Border Punch. The team at Freshly Made Sketches have totally nailed this weeks sketch with their amazing cards. Head over to Freshly Made Sketches and get ready to be inspired. As you can see I centred my layers but if you look at my card from an angle, it might look like the sketch….. 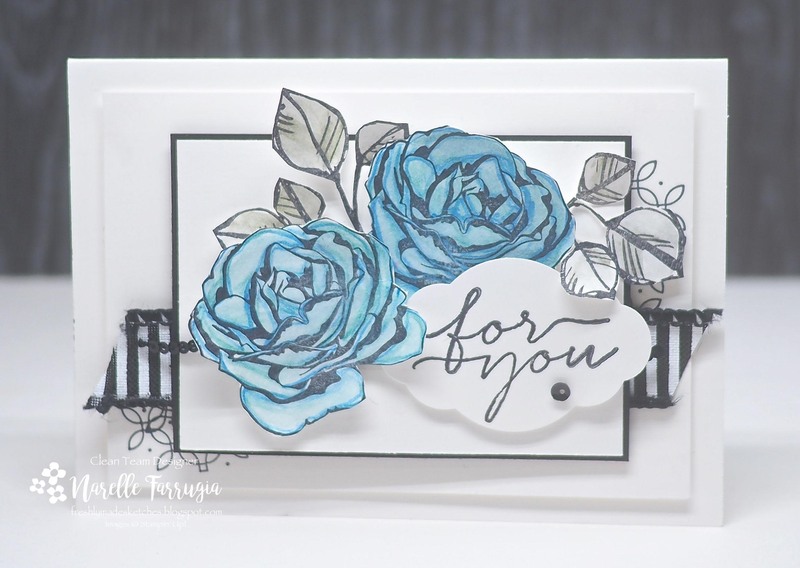 I am in LOVE with these flowers from Stampin’ Up!s Petal Palette. I gave my flowers a light watercolour with Brushing Bride Ink. I then stamped the leaves from Remarkable You and watercoloured them with Old Olive Ink. The sentiment I’ve used is from From You. I heat embossed this with white embossing powder on Smoky Slate cardstock. As always the Clean Team have created gorgeous cards to inspire you, so head over to Freshly Made Sketches and take a look at their cards. 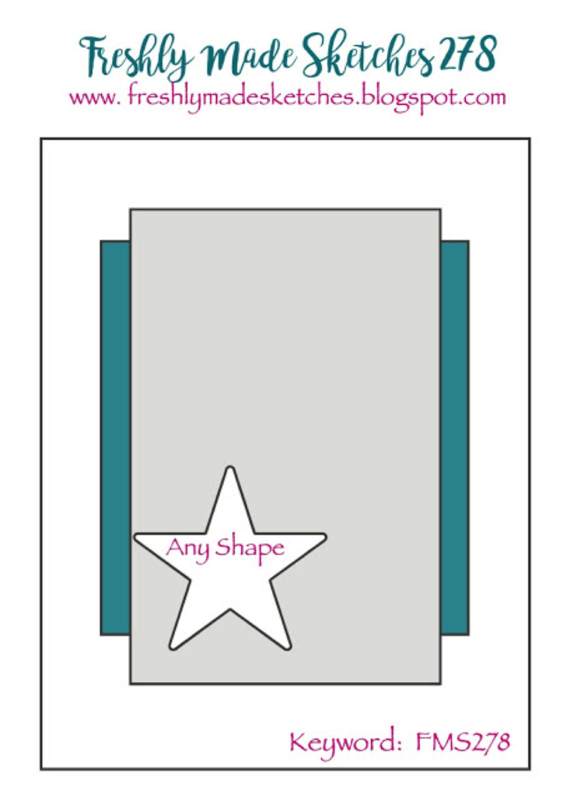 It’s Wednesday so that means we have a new sketch challenge at Freshly Made Sketches for you. Not long until Christmas, so you might want to use this weeks fabulous sketch to get some of your last minute Christmas cards made! This weeks sketch has been designed by Jen Mitchell. Jen’s cards are super clean and perfect in detail. Head over to her blog and check out her creations! 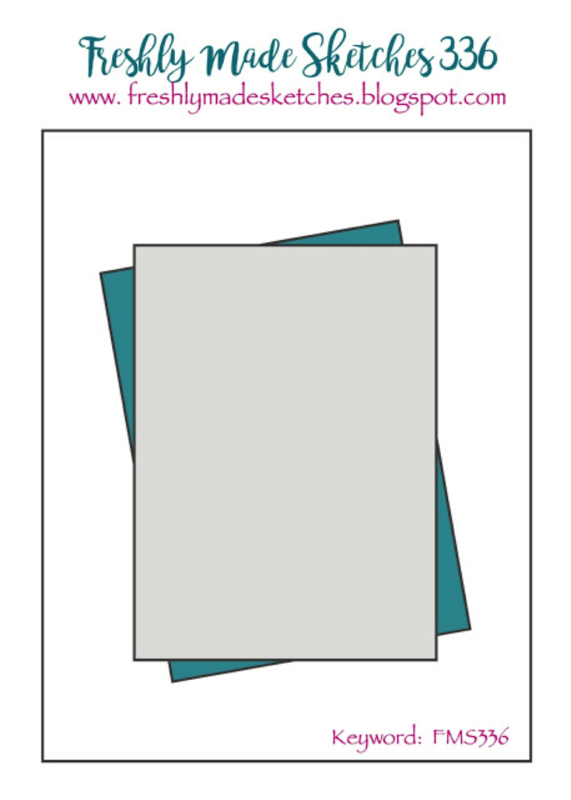 Graceful Garden, as you probably already know, is my favourite to colour. I’ve used my Pool Party Watercolor Pencil to colour my petals and my leaves are coloured with Old Olive. The leaves I’ve fussy cut are from Stampin’ Up!s Remarkable You. I then added a strip of Striped Ribbon and a row of Black Sequin Trim. The Clean Team have created gorgeous cards to inspire you. 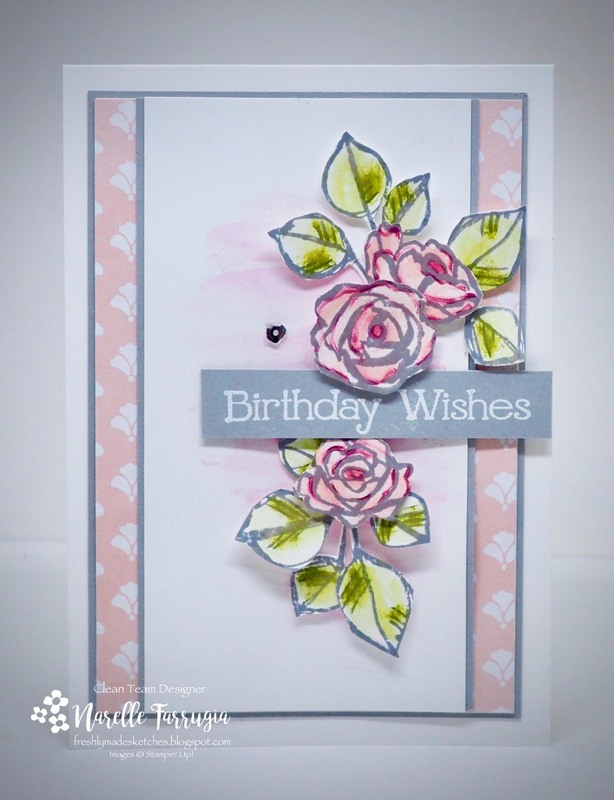 Pop over to Freshly Made Sketches and take a look at the cards the team have created. It’s time for a new sketch at Freshly Made Sketches. This weeks fabulous sketch has been designed by the super talented Jen Mitchell. As always the Clean Team have provided wonderful inspiration for you. 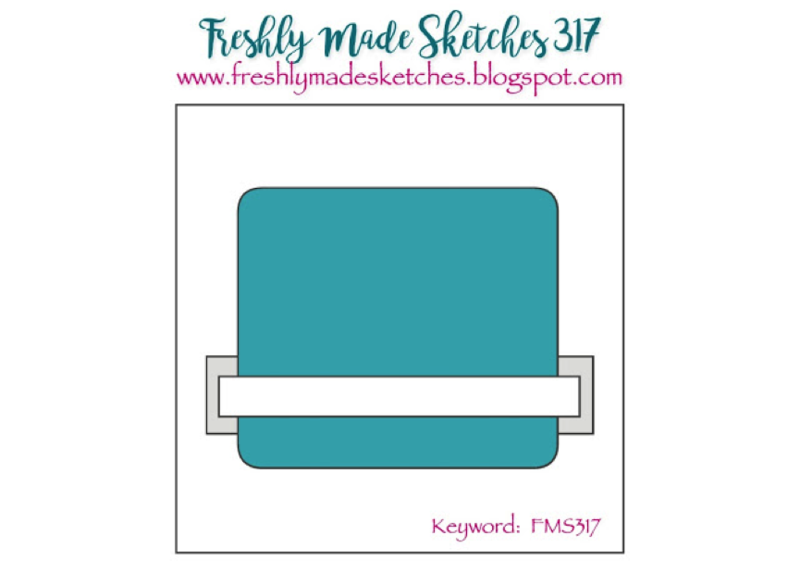 So head over to Freshly Made Sketches and take a look. It’s time for a new sketch challenge at Freshly Made Sketches. This week our sketch hostess is the talented Amy O’Neill – head over to Amy’s blog and take a look at her gorgeous projects. The team has created wonderful inspiration for you – so head over to Freshly Made Sketches and take a look.